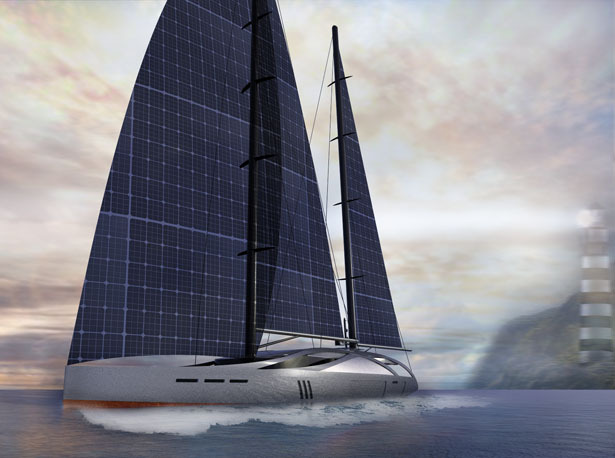 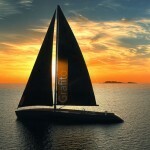 Aquila is a conceptual 50-meter sailing yacht that features solar sails thanks to CIGS solar cells technology. 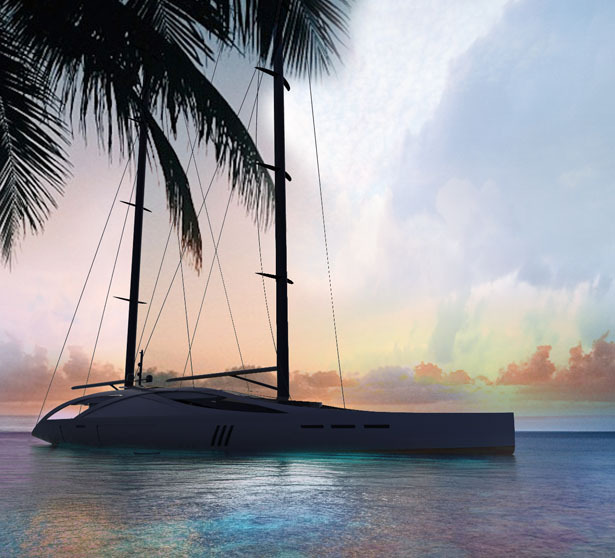 This project was born out of the idea to create a new generation of sailing yacht that follows recent trends of implementing futuristic technology in existing transportation. 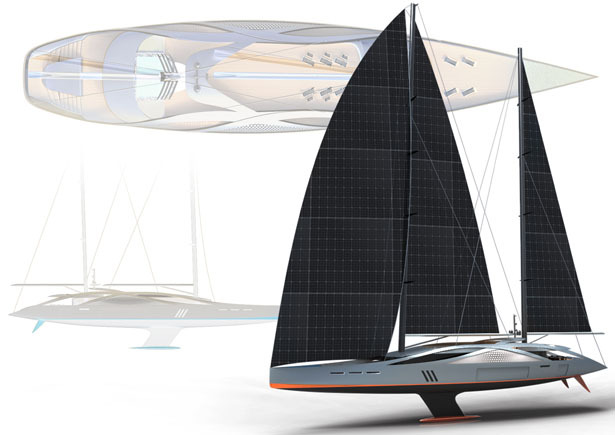 This futuristic sailing yacht features 50 meters length and 11.2 meters beam, it can accommodate up to 10 people at a time. 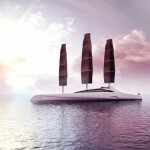 This yacht design aims to redefine sustain sailing navigation by highlighting its ability to operate entirely on solar power. 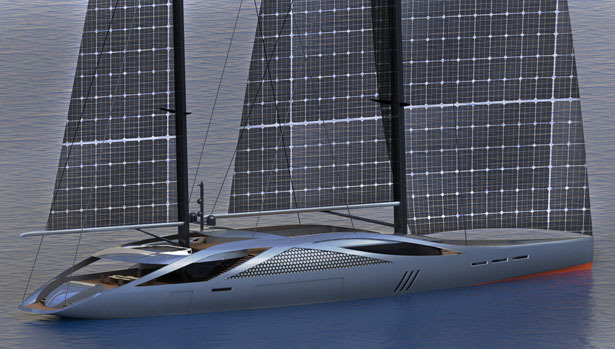 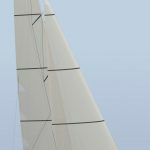 It uses green technology such as solar sails to operate the electronic systems, this yacht can also generate energy from the wind. 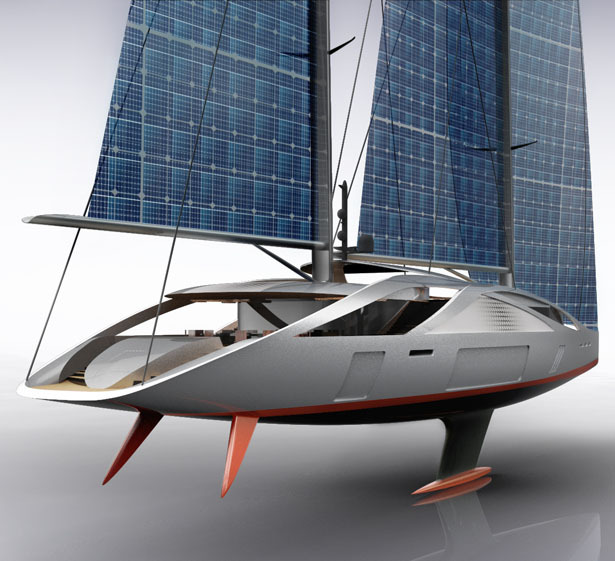 Defined as an eco-friendly yacht, Aquila has been designed with bio-inspired shape. 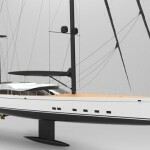 It features fluid and sculptural aesthetic for its external body to break the boundary of traditional yacht design. 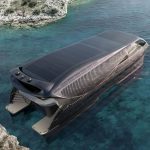 The fly-bridge has been designed to provide guests with ultimate ocean experience, there’s a large sunbathing area and a pool, sitting and entertainment area and other facilities. 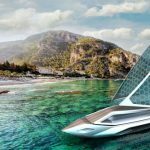 One special feature of this yacht is that the smart glass installation that offers passengers with total control of their environment. 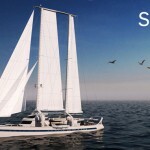 This feature also improves energy efficiency while controlling the precise amount of light, glare, as well as heat passing through. 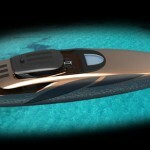 Aquila yacht is also designed with big opening garage on both sides, it is able to keep a one-off design 8-meter tender, jet skis, or any other water vehicles. 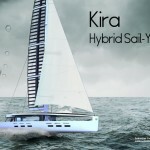 This yacht offers you a solution to stay environmentally friendly while at sea. 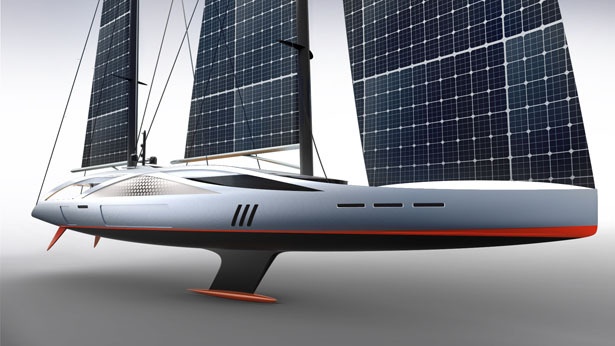 Tagged as futuristic sailing yacht, modern sailing yacht, solar cells flexible sails, solar powered yacht, wind powered yacht, yacht designer.